Do you remember your first day of school as “the new kid?” What about that feeling of unfamiliarity and uncertainty you had while walking through the hallways? Of course, you had heard this and that about school, about all the different things you could (and couldn’t) do there, all the things you might learn and discover… Still, the reality of the building you walked into was quite different from what you had heard. Being the new kid on the block, you may have found yourself doing things you had heard about, even some you had no idea about, in a place you knew virtually nothing about. Now you’ve found yourself in the same position, experiencing the same feelings and uncertainties that you did when you were a kid in a new environment. This time you are the new kid on a block in the SEM industry, specifically SEO marketing, and are trying to make sense of all of the ideas, misconceptions, truths, strategies and technologies that surround it. The only difference, of course, is that you’re not a kid anymore. This means that you may have less time than you had as a kid to digest all of the new things around you, to embrace these changes in the best possible way. It is no surprise that more and more people (individuals as well as businesses) are recognizing the importance of being found on the Internet. You may have learned from your own experience, by seeing how competitors doing SEO and other forms of SEM are gaining more market share than you, simply by appearing in the search results of the most popular search engines – Google, Bing, and Yahoo!. Having an online presence is no longer a “luxury;” it has become an absolute necessity when trying to succeed in today’s market. Whether you are trying to sell a product or service, position your brand or simply sharing information, SEO is a necessity. A good SEO strategy and its correct implementation will make it easier for users to find your products, services and information about you or your company. If you find yourself reading this article, it’s for one of two reasons. You are looking for or have found work in the SEO industry, or you are a business owner looking for alternatives to craft an SEO strategy for your business. In either case, you are looking for advice on where to start, the “easiest” way to get into the industry (though truth be told, there is no such thing as an easy way), and what tools you can use to ensure successful results in the future. In order to achieve a high position on search engines and drive traffic to your website(s), it is crucial that you have the perfect combination of tools. There are a variety of tools that you can use to achieve your goals. 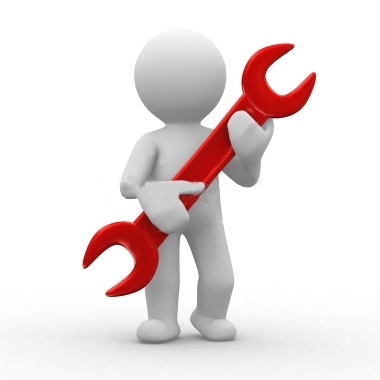 Tools are generally divided into two categories – free and paid. I have included some of the most popular tools used by SEOs, detailing what they are used for and the results you can expect to get by using them. Some of them are relatively easy to use, others may be more complex, but all of them will provide you with an idea of where to start and what to do to meet your goals. This is probably the most basic tool, but also one of the most important to an SEO. This tool provides you with a website’s vital information including its page rank, the number of indexed pages and backlinks the site has, and its age. Once you have installed this extension (in Firefox for example), it is important to make sure that you also install the SEO toolbar in your browser. (There is also a toolbar for Chrome users). Google Analytics gives you access to real time traffic data that can be analyzed and used to make crucial decisions such as whether or not to have better targeted ads on your PPC campaigns, improve your keywords to increase organic traffic, or improve sales. This is another free tool that you can take advantage of for both your SEO efforts and your PPC campaigns. Google Adwords Tool provides keyword data with ideas, suggestions and keyword trends for a variety of keyword searches towards building your keyword universe. Your keyword universe is simply the full listing of keyword phrases you have identified that have value. This listing is consistently updated by regular research and discovery. Keywords / Phrases are critical to all search whether it is Google, other search engines, social sites, directory sites and more. It is still the gateway for those online seeking information. Using WordPress as the very foundation of your website, or content infrastructure, is vital for the success of your SEO strategy. After all, you must make sure that all content is easily accessible for the search engines to find it. WordPress is one of the most popular CMS’s (Content Management Systems) primarily because it is “SEO friendly.” What exactly does that mean? It means that WordPress conforms most closely to precisely the structure and methodology that Google is looking for when crawling and indexing web pages. This tool was designed by one of the powerhouses in our industry. The great news is that using SEOMoz’s Open Site Explorer is actually very simple. All you really need to do is submit a domain to obtain a full display of metrics from that website. Open Site Explorer will provide you with detailed information and specifics such as the number of backlinks to the domain you submitted as well as their sources. Once armed with this information, you can analyze and compare yourself with your competitors. You’ll be able to see exactly what kind of links they have (that you may not have) that are helping them to rank higher than you, and take advantage of it for your own site. If you’re planning on launching a new backlinking strategy, this tool is perfect for you as it will help you identify quality links you may want to pursue. Majestic SEO is another useful tool for backlink analysis. This tool will give you a better understanding of the market surrounding your website. You will have access to comprehensive data from the main linking domains from a particular webpage. This data is excellent for analyzing your competitor’s backlinks, the quality of the backlinks that page has and other basic information. With Sheer SEO, you will automatically be able to monitor keyword density, keyword drops and increases in ranks over certain periods of time. Once you integrate Sheer SEO with Google Analytics, the tool will provide you with detailed reports of your website’s activity. One of the strengths of this tool is that it not only tracks the home page, but also tracks other pages inside a website, helping you to identify which keywords are receiving the most engagement and generating the most leads, all on a web page by web page basis. This is my absolute favorite tool for keyword research and analysis. With this tool, you can begin your competitive analysis with up to three different competitor domains. The program will compare PPC rates, keywords and organic search for these sites. From these results, you will obtain competitive keyword information including those you are ranking for that your competition is not and vice versa. Detecting new opportunities and popular trends is made easy as the tool provides you with detailed graphs and spreadsheets for a more in depth analysis. Without a doubt, it’s a tool you must use for your SEO strategy. SEM Rush is quite possibly one of the most complete tools for SEO and PPC on the market. This tool will help you keep track of your competitors’ sites and see specific information about their search performance. The tool will also provide you with detailed data on keyword ranks and the exact number of searches for particular keywords. It’s a very valuable tool because it will help you decide which keywords are best to target in the future, as well as decide which pages need to be optimized in order for your site to perform better. So there you have it… a list of the best free and paid SEO tools for beginners. Equipped with this knowledge of industry tools, you will now be able to walk confidently down that hallway and will no longer feel like the new kid on the block. We understand, however, that in an ever-changing industry, those hallways can once again become dark and uncertain. That’s why we’re here to help! We not only stay up to date with the best SEO tools but have also built our own very own custom tools. Contact Us today to get started!